Some new info about the coming flagship phone HTC U has leaked out. The handset codenamed "Ocean" will feature Sense 9 and a touch-sensitive frame around the phone called Edge Sense, that you can do gestures and navigate with. 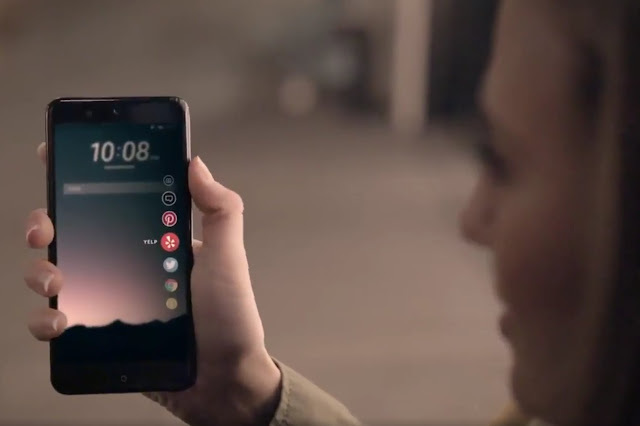 The HTC U is powered by the same top-of-the-line Qualcomm Snapdragon 835 system-on-chip as North American Samsung Galaxy S8 and S8 Plus units, but its standout feature is located in the device’s metal frame, of all places, known as Edge Sense — the frame-embedded sensors enable the user to control numerous, customizable actions with gestures such as squeezing or swiping along its left and right sides. It will be unveiled mid to late April and available for purchase in early May.